Some times we need some editing in a pdf file, and if the data(file) is in tabular form then we need to open this file with Microsoft excel to edit the file so for this we need to convert this from pdf format to xls so we’ll be able to make some editing in the file. There may also some desktop applications to do that but here we listed some Online tools which will convert your pdf files to excel (xls) file format so your files will be editable using Microsoft excel. 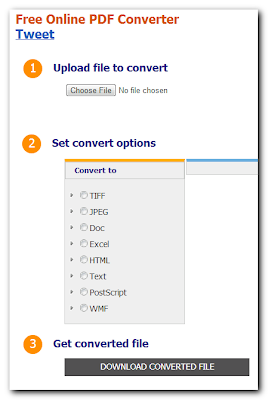 Zamzar is a free file conversion tool that can be used to convert pdf files to excel file format, This free online tool not only let you convert a pdf file to excel but also many other media file format i.e video conversion, Image, or other documents conversion can be done with this web application. One backward thing about this application is the limitations of a free Guest account which is you can only convert a file up=to 100 Mb in size. Converting pdf file to excel with zamzar is easy and straight forward, what you have to do is to Choose a file from your computer and then select your output file format (Choose XLS) form the drop down arrow in step 2 section, then enter your email address that is zamzar send the converted file link to your email. And then in step 4 you’ve to click on Convert button. The file will be uploaded and very soon you will receive a link for your converted file. 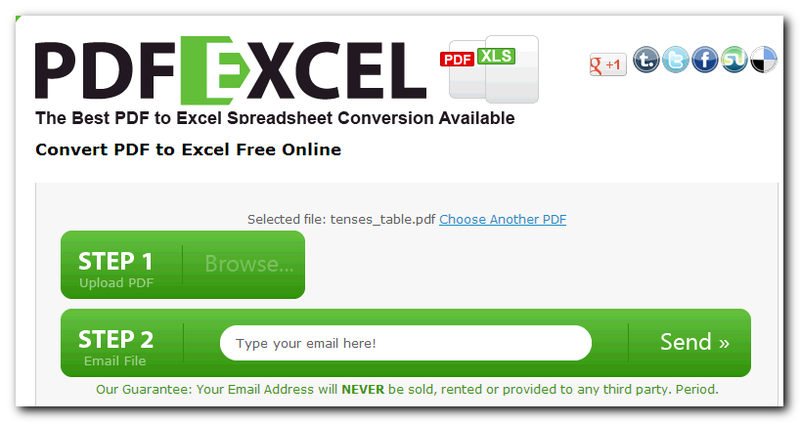 Another free-to-use Internet resource that can be used to convert a pdf file to excel file format is ‘PDF to Excel’ . To convert a pdf file to excel using this free online tool you’ve to go to Pdftoexcel and then follow some easy steps that is Browse a file clicking on green “browse” button and then Enter your email address and then click on Send button. A new pop up box will welcome you with the estimated time for conversion. If you’re looking for an online tool that can be used to convert pdf file to excel then ‘Pdf To Excel’ is also a good choice for you. Using this application is so easy and process is same to pdftoexcel. i.e Browse a file, Enter Email address and then click on Send button. Another easy and free to use web-based application that can be used for conversion of one document format to other, whether you want to convert a pdf file to excel file format or any other file to excel, pdf, word, powerpoint etc. What you have to do is open this website and then select Pdf to Excel. Drag or select a file and enter your email address and then Click on ‘Convert it’ button. Coolutils offers many types of online tools and some freeware desktop softwares, such as video converter, image converter, image slicer, folderShine etc, but here we’ll use it as a free online pdf to excel converter. To start getting with this online tool visit the direct link (Given above) and first choose a file from your pc and then select “Excel” from ‘set convert options’ as there are many other options also available. And then finally click on “Download Converted file” Button. It may take several minutes to complete. 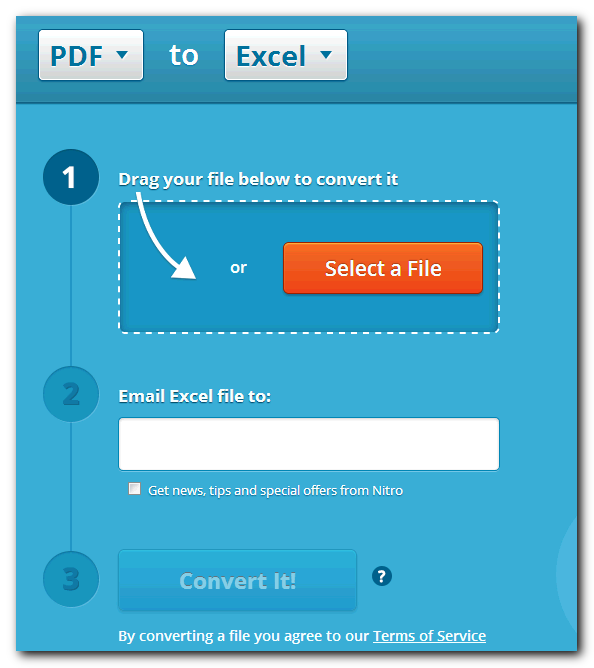 Free Pdf convert is a free tool which let you convert your pdf files to any other document file format online i.e pdf to word, pdf to excel, pdf to powerpoint/image etc… To use this application visit its website and head to PDF to Excel tab, select file enter email address, choose output file format, and click convert button. 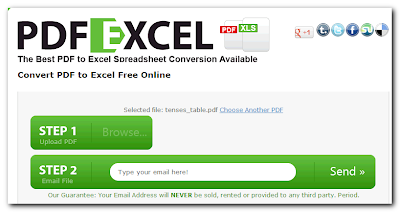 Convert PDF to excel is similar to ‘pdftoexcel’ and it can also be used to convert a .pdf file to .xls format. So you can also try this for free conversion. In most recent time, Cometdocs released a google drive extension having the ability of converting pdf files to many formats at one place more efficiently than ever. PDF documents are converted or created right inside the Google Drive Interface. There is no need to leave the service at any point. Additionally, Images, MS Office and OpenOffice formats can be converted to PDF. No limit on file size or the number of pages that can be converted. Five conversions per week are free for all users. So i think it is worth to check and i am sure you will find it useful as i was personally impressed once i got to know about this one. Of course these web applications are helpful in such times when we need editing in a pdf file. Almost every of the online converters mentioned above are free-to-use and without registration so you don’t need to download/install any software, what you’ve to do is to bookmark the page and open it whenever you need. We're glad if these are helpful for you. 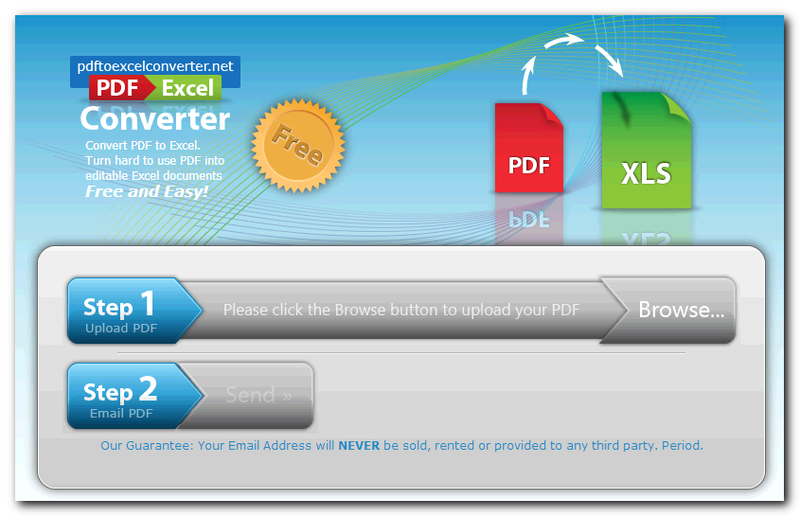 You may try this PDF converter, it can help you convert PDF file to MS word file, image, txt, html file, etc. My friends recommend it to me, it's easy to use and works pretty well for me. CoolUtils is my favorite one. Thank you! Thanks to you for your valuable comment!!! I also used it most of times also for other conversion, it works fine that's why I mentioned it here in this list. Keep visiting Tech Web World to get more informative posts from us! You are most welcome. I glad to hear from you and that you liked our post and was great for you. Keep visiting our blog to get more useful stuffs from us. Great Collection Brow' Thanks For Such A Great Tutorial. Hi Zahoor! I am glad to have you surfing on my blog and that is found this post useful. We will try our best to provide great contents in future too... Don't forget sharing this post on your social profiles.